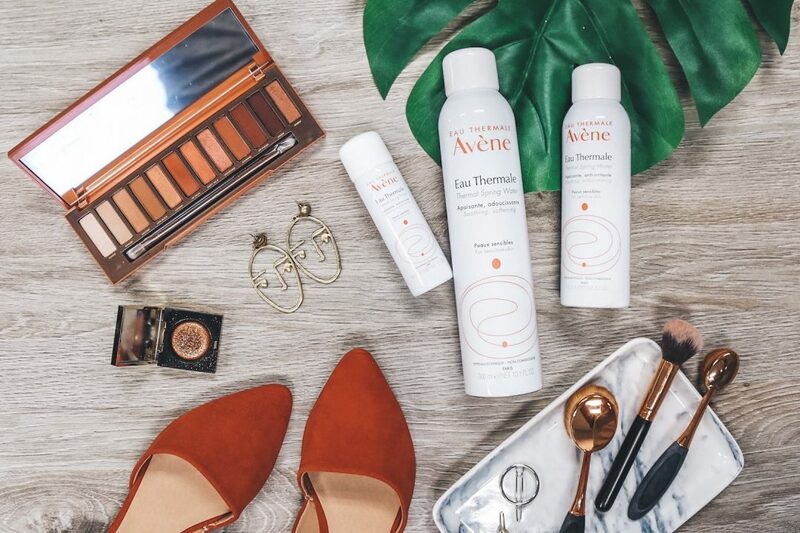 Avène Thermal Spring Water Spray is magic in a spray can. Avène Thermal Spring Water follows a 50-year journey through the Cevennes Mountain aquifer emerging clean and pure in the small French village of Avène. 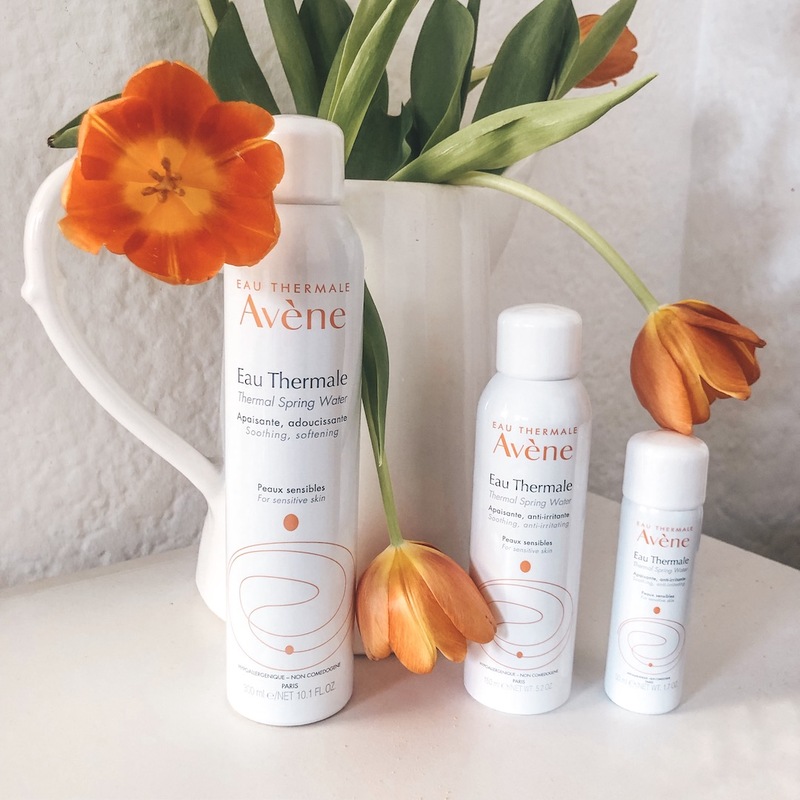 Throughout its journey Avène Thermal Spring Water gradually becomes infused with trace elements and silicates, achieving a perfectly-balanced mineral composition ideal for sensitive skin. It soothes, softens and helps restore the skin’s natural balance. There is no WRONG way to use it on your skin, hair or body. 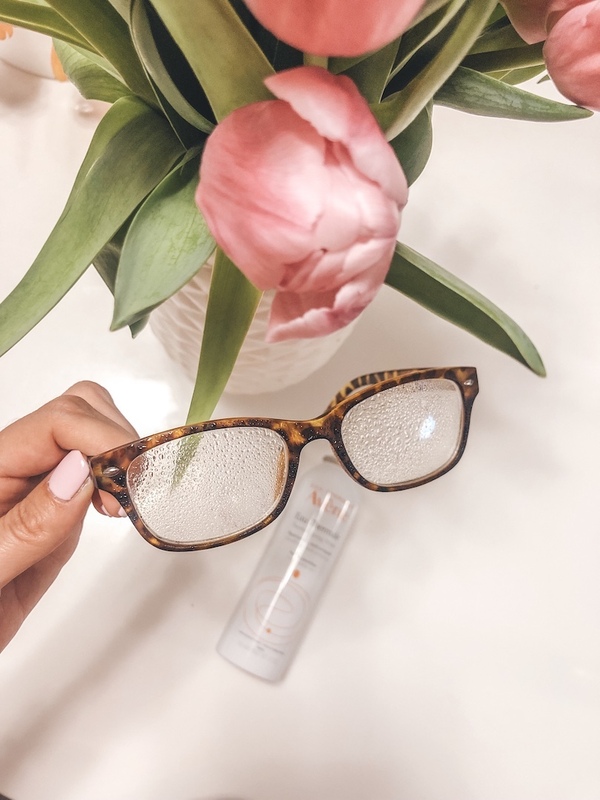 It’s uses truly are incredible and I’ve actually enjoyed finding new ways to use this product. 50ml – perfect for in your handbag. 150ml – perfect for every day, everywhere. 300ml – perfect value size for home. There is always a #TimetoSpray and these are some of mine. I wet my Beauty Blenders. 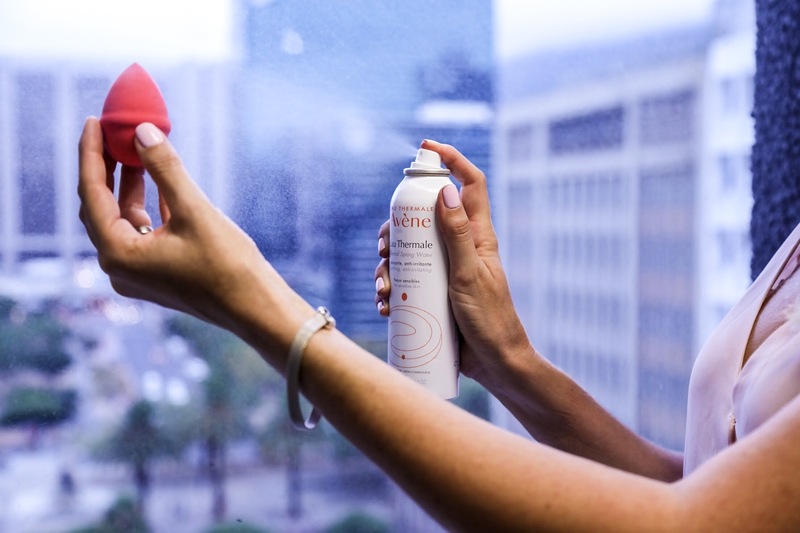 Beauty blenders work beautifully when wet and before, I used to just run it under the tap. Since become more water conscious after our Day Zero scare in Cape Town, I started using this and I far prefer it. You can’t compare tap water vs natural spring water with so many amazing skin benefits. I often get compliments on my skin looking dewy, and I truly believe it’s from this trick. I also use it to set my make-up. It feels so refreshing. You can even spray and walk into the mist. It’s especially refreshing in Summer. Travel. 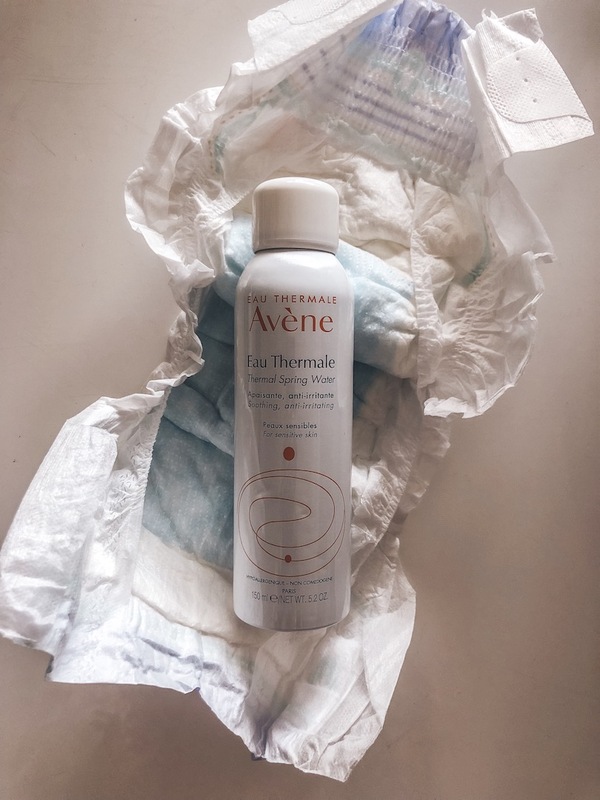 My skin gets really dehydrated on flights, and while I’ve seen some girls wear those sheet masks on flights, without any worries, I can’t exactly do that these days with a toddler who would just pull that sheet mask right off. The travel size bottle is 50mls, which means you can take it on board the plane. 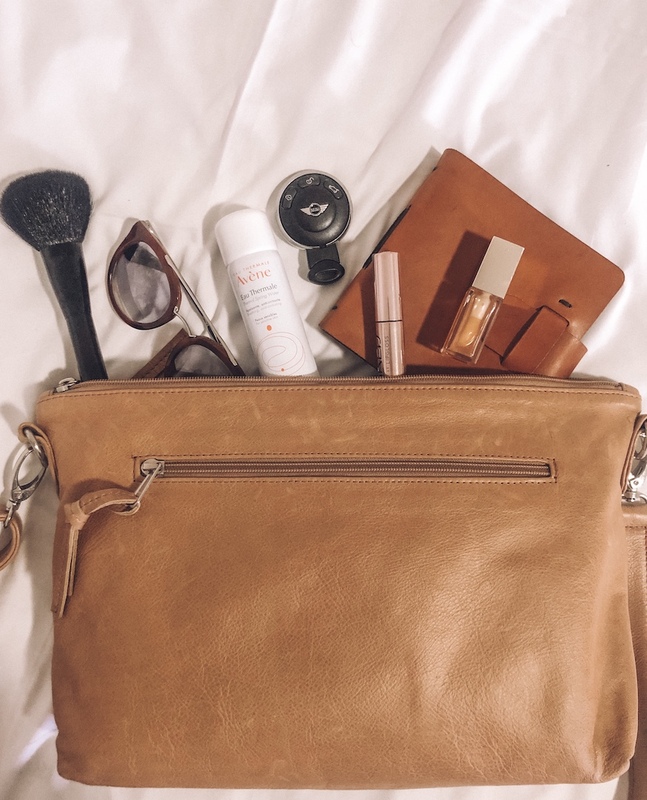 I keep a travel size bottle in my handbag… It’s great for cleaning sticky baby hands when wet wipes aren’t enough and refreshing my skin late afternoon. Oh and it makes a wonderful glasses cleaner too. Nappy rash. This is phenomenal for irritated, sensitive skin and a quick spritz on a nappy rash just helps soothe. I always know new teeth are coming, when he gets a nappy rash. Poor little bum. 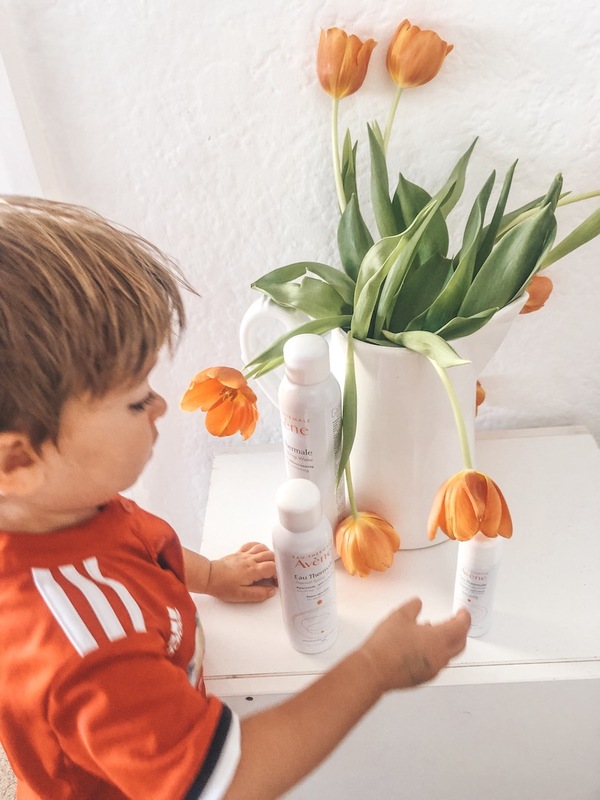 A little advice: Let your little one know what’s coming… you don’t want to shock them with spraying something cold on their bum. 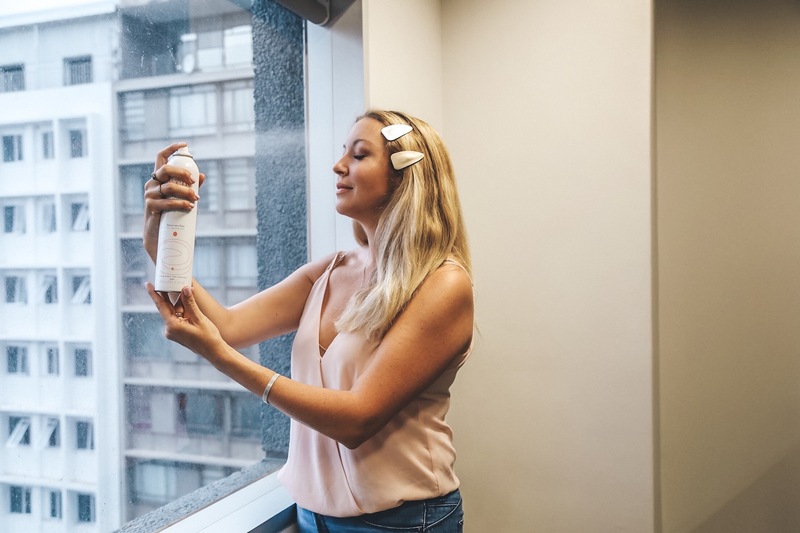 To combat the effects of pollution on your skin. 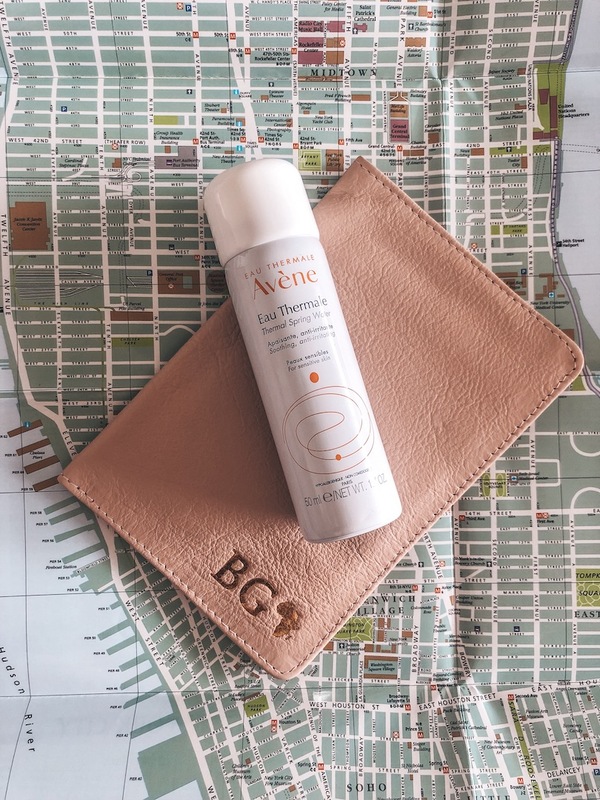 Do you have any other ways to use the Avène Thermal Spring Water spray? I’d love to hear your tips. I swear by this for my eczema! Best product Ive ever used for the terrible itch and redness.